Mobile phones available in different prize size and varieties are provided with high quality images and videos. VTT Technical Research Centre of Finland, EpiCrystals Oy and the Aalto University are working on a project of laser light to be integrated with mobile phones for ensuring the accurate and the most accurate projection. In very short spans of time extending to a few years will be within the reach of ordinary users. 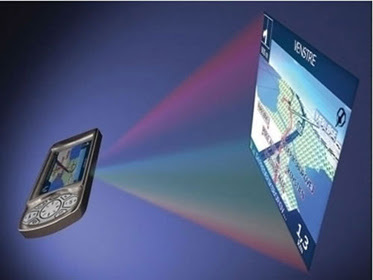 Small-size laser projectors with length of about 1-2 centimetres in length can be integrated into electronic appliances like digital or video cameras, gaming devices and mobile phones. They can project images upto the size of A3 sheet on paper on a wall. The researchers are trying to develop a small, energy efficient and luminous three-colour (RGB) light source. “The project has successfully combined multi-technological know-how from VTT and its partners in the project, from manufacturing materials and the accurate focusing of laser chips all the way to production line design,” told Principal Scientist Timo Aalto involved in the project. The project is also important in the light of staggering statistics that soon around two billion mobile phones per year would be sold out globally.